It is more important than ever for communists, in general, and the Party for Socialism and Liberation, specifically, to state our position on the Cuban Revolution. The capitalist media, the government, legions of academics and think tank policy “experts” are busy at work defining the current stage of the Cuban Revolution, and assessing major political and economic pronouncements made by Cuba and its individual leaders in recent weeks. Unlike the capitalist government and its “thinkers,” we in the PSL are partisans of the Cuban Revolution. The capitalists look at any weakness in Cuba as an opportunity to attack, weaken or subvert the Cuban Revolution and the cause of socialism. We seek to promote a militant defense of Cuba and socialism. We seek to evaluate its problems, contradictions and policies with a different aim than the Empire. Thus, the “battle of ideas” on the question of Cuba is part and parcel of the global class struggle that is intensifying daily. The Cuban government recently announced a major economic reorganization that will involve the reduction in employment in the state sector by as many as 500,000 workers. The reforms will also promote the enlargement of what is called the “private sector,” which means the formation of privately owned enterprises organized to generate profits for the private owners of the businesses. There already is a private sector in Cuba, but it is limited and based on self-employment rather than employing the labor of others. Taxi drivers, restaurants, barbers and hairstylists, mechanics, and farmers are some of the occupations and areas of private business. The number of people working in the private sector is in the hundreds of thousands. An unanswered question so far is whether the Cuban government is preparing to change its laws on the rights of privately owned business to hire labor—and thus exploit labor—and to generate and accumulate capital. This is not the first time that a communist-led government has reverted to the expansion of a private market. Russia under Vladimir Lenin pursued such a policy in 1921 as a response to a dire economic crisis. Lenin characterized the reversion to capitalist methods as a bitter and temporary “retreat” imposed on the Bolsheviks. Let us examine the Bolshevik experience. In 1921, the Bolsheviks under Lenin’s leadership introduced the New Economic Policy (NEP), which allowed for a dramatic expansion of a private capitalist market. After three years of civil war, the new socialist economy had collapsed and the state sector was unable to provide the resources to sustain a planned economy. Economic output by 1921 had fallen by 86 percent from 1914, and the peasants were turning against the socialist government. The introduction of NEP laws successfully stimulated production the old-fashioned way. Some got very rich off of the exploitation of others’ labor. Still, the NEP allowed the communist-led government to survive. It also led to the division of rich and poor. A rural bourgeoisie became especially powerful and hostile to the socialist-led government. The Bolsheviks in 1928, by then under the leadership of Stalin, ended the NEP and began widespread farm collectivization and rapid industrialization. A virtual civil war ensued in the countryside for several years, as did a fierce and bloody internal struggle inside of the Bolshevik party. During the 1930s, Soviet industrial production took off, growing at an unmatched pace, while around the capitalist world private-sector industry was plunged into near paralysis by the Great Depression. The Soviets emerged by 1939 as a world power. The government in Cuba today is cutting back on its existing obligations, and trying to reduce its deficits by laying off 500,000 state-sector workers and cutbacks in entitlement programs or subsidies for the population. The Cuban government is indicating that it hopes those unemployed workers will be absorbed by an expanded private sector. What is still unknown, at least to the outside world, is how the Cuban government plans to proceed with the expansion of a private sector. Foreign corporations were invited in. These corporations were offered the chance to make mega profits from the employment of low-wage labor in China, while China has sought to harness economic benefits, increase income and acquire technology as part of the terms of the deal. The Communist Party of China is aware that the creation of a Chinese bourgeoisie constitutes a political danger, and that the U.S. government will inevitably seek to overthrow the government in China. But China feels that it is strong enough to manage the situation. Cuba is not China. China is huge and far away from the United States. The U.S. capitalist establishment believes that Cuba should belong to it—as it once did—and the capitalists are enraged over the perseverance and tenacity of the revolutionary government. The Cuban government is well aware that a sector of privately-owned businesses—unless they are tiny and revolve around self-employment—will inevitably develop as a nexus for U.S. banks and corporations (and for the CIA), and for the capitalist governments and corporations of Europe. There is divided opinion in Washington about how best to overthrow the revolution. The Miami-based fascists have one program. Another is represented by those who favor relaxing the blockade and connecting to Cuba’s private sector. The development of a private sector presumes the generation of profits for individual owners by employing other individuals who will be paid wages in return for the hours of work they perform. The value created by wage labor, or more precisely the surplus value created by those who work for wages, will become the property—the capital—of the individual owners. The private ownership of capitalist enterprises means the exploitation of humans by other humans. It is the foundational feature of capitalist property relations. As mentioned, very small private businesses may also be a case of self-employment. But the tendency inherent in successful business is accumulation based on the creation of surplus and then the requisite need for additional investment—the employment of more wage labor. Capital accumulation in the private sector is a spontaneous phenomenon. Cuba is a socialist country in the popular understanding of the term. It is not functioning according to the dynamics and tendencies of capitalist production, although it cannot escape the vicissitudes of the global economy. It is a planned economy. Its government was created by a dynamic multi-class revolution that smashed the old state apparatus and broke apart the capitalist state institutions: the army, police, courts and prisons. 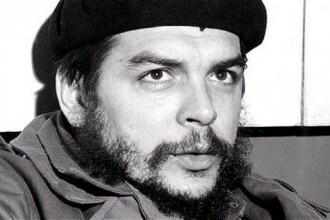 Although the revolutionary leadership that initiated the armed struggle against the old Batista regime was not a proletarian communist party, but rather a multi-class formation—the July 26 Movement—the new revolutionary state that came into existence after 1959 represented the class interests of the workers and poorest peasants. When the class character of the state became evident between 1959 and 1961, the bourgeois nationalist sectors of the July 26 Movement abandoned the revolution and made common cause with the pro-Batista counterrevolutionaries. Most importantly, they became the agency through which U.S. imperialism employed a campaign of terror, subversion and invasion against the revolution. Fifty years after the victory of a socialist revolution, the Cuban government and the Communist Party of Cuba are today retreating from some socialist methods and reintroducing some capitalist methods. How do we, as communists, evaluate these reforms that are designed to accelerate production in the sector of the economy that is based on private ownership while diminishing the number of Cubans who are employed in the state sector? Do the mass layoffs signal the beginning of an NEP-style reform, which is unknown at this time, or the creation of a hybrid economy that substantially diminishes the state or public sector in favor of the private sector? 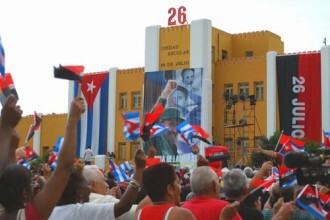 How will it be explained politically by the Communist Party of Cuba? Will it be explained as a step forward in the development of early-stage socialism akin to the orientation of China (“Socialism with Chinese Characteristics”), or rather as a forced retreat from socialist methods imposed on the revolution because of the global economic crisis, internal economic imbalances, drought and damage caused by hurricanes, and the economic blockade of U.S. and EU sanctions. How will the Cuban state and Communist Party cope with the formation or further development of a nascent bourgeoisie in Cuba, which is the inevitable consequence of the promotion of the private sector? The formation of a bourgeoisie accelerates class divisions and reinforces the other attendant evils of class society, such as racism. Of course, a nascent bourgeoisie forms spontaneously through the illegal underground economy and corruption, and in proportion to the extent that the state sector of the economy cannot provide the population with many desired and necessary goods and services. The expansion of the private sector legalizes these currently underground commercial activities, allows them to flourish, and makes their profits a source of taxable revenue for the government and state. The core economic problem facing Cuba today is scarcity. The state sector of the economy is unable to produce or import sufficient quantities of goods and services to meet the needs of society. This is true both for consumer goods—especially food but many other basic consumer products too—and in the realm of industrial materials, including factories, heavy and specialized equipment, raw materials and energy. The problem of generalized scarcity is a crisis far different from the current crisis of the advanced capitalist economies. The problem of mature or developed capitalism is not that of scarcity, but of surplus. In the United States, for instance, new home construction took place at a record rate between 2002 and 2006. The effect was the collapse of the housing market and the precipitous and sudden decline of housing prices. Banks, including some of the largest in the world, collapsed overnight. Millions of workers lost their jobs. Whole industries, like auto, were unable to sell cars, causing a surplus of inventory to build up. These core corporate giants then went into bankruptcy and masses of workers lost their jobs. Again, the problem was not that of scarcity of goods, but rather a surplus that could not be dispensed of at a profit. Today, following the mind-boggling U.S. government bailout of banks and industries, it is estimated that corporate coffers are overflowing with an estimated $1.8 trillion in surplus cash. Yet, the corporations are not using those surpluses to hire or rehire laid-off workers, or to extend credit for business investment. Why not? Because they fear that the employment of millions more workers will only produce additional surplus commodities—at least at this stage in the business cycle—that will not be able to be sold in already saturated or depressed markets. The problem of modern, advanced capitalism is the opposite of scarcity. It is rather the crisis of so-called overproduction. That is another way of saying that capitalism, the social order based on private profit, has become a relative hindrance or fetter on the forward march of production. The reduced production of goods, and with it the reduction in the employment of labor, is caused because too much rather than too little has been produced. Productive capacity lies idle because of surplus rather than scarcity. Surplus in the United States leads to poverty. This is a bitter irony for the unemployed and an absurdity unique to advanced capitalism. The new U.S. Census report reveals that poverty is spiking in this country today after years of indisposed of surpluses. The Sept. 16 Associated Press report on the recent U.S. Census figures stated: “The ranks of the working-age poor climbed to the highest level since the 1960s as the recession threw millions of people out of work last year, leaving one in seven Americans in poverty. “The overall poverty rate climbed to 14.3 percent, or 43.6 million people, the Census Bureau said Thursday in its annual report on the economic well-being of U.S. households. The report covers 2009, President Barack Obama’s first year in office. “The poverty rate increased from 13.2 percent, or 39.8 million people, in 2008. Of course, the “poverty rate” statistics are something of a fraud since a family of four living on $22,000 per year in Washington, D.C., would not be counted as being “in poverty” because their income is too high. Cuba’s decision to lay off 500,000 workers and reduce subsidies is neither an inherent failure of socialism, nor remotely connected to the unemployment phenomenon in the United States or the other advanced capitalist countries. Scarcity is not a principal feature of the socialist stage of society, which presumes the reorganization of society’s economic resources based on the highest developments and technological achievements of capitalism. But it is precisely the problem of scarcity that faces Cuba and other socialist revolutions in lesser developed economies. The Cuban government is expanding a private market, especially in agriculture but elsewhere too, because it currently lacks the material wherewithal to use purely socialist methods to overcome the problems caused by scarce products and services. The state sector lacks sufficient resources. When Marx and Engels were outlining the prospects for socialist revolution and socialist public ownership as the remedy for the crisis of overproduction, they were considering that the revolution(s) were likely to take place in several advanced capitalist countries. It was precisely because capitalist property relations had become a fetter on the development of the means of production that they believed society would inevitably reorganize production on a socialist basis (public ownership) and using socialist methods (economic planning free from the constraint of private profit) as a way to allow the forward march of productive capacity. The Cuban Revolution did not take place in an advanced capitalist country. Neither did the socialist revolutions in Russia, China, Vietnam or North Korea. As Lenin noted in 1917, the revolution took place not where capitalism was strongest, but where the bourgeoisie was the weakest. Marx’s prognosis about where the socialist revolution would begin was amended by real life and historical processes. Revolution, it turned out, was more possible initially in poor countries, but their poverty combined with the enmity of imperialism made the construction of real socialism more difficult. The economic tasks that presented themselves to the Cuban revolutionaries in 1959, and the earlier revolutionary formations in Russia and elsewhere, were not focused on rationalizing imbalances based on surplus product, but rather overcoming the heavy weight of scarcity and extreme underdevelopment. The USSR, China and Cuba used socialist methods—such as public ownership of the means of production, central economic planning and the monopoly of foreign trade—to speedily accomplish basic social and economic tasks: literacy, health care, primary and advanced education, electrification, modern farming and industrialization. To the extent that a socialist bloc of nations worked in cooperation with each other—and enjoyed their own international division of labor—the process of basic economic and social progress in these still undeveloped countries was greatly facilitated. But labor productivity indices were always lower than those evident at the center of the world capitalist market. This was a consequence of underdevelopment and colonialism, not of socialist methods per se. In fact, socialist methods led to staggering increases in production, science, education and the arts, while also providing for full employment, free health care and affordable housing. Economic development was the requisite priority of Cuba in 1959 and still is today. The policy and strategy of the U.S. Empire is to use scarcity and underdevelopment as a weapon to strangle the revolution. That is the essence of the U.S. blockade. Economic recession and stagnation need to be urgently overcome. That is the primary task. The government is under siege from the United States, which seeks to utilize all of its economic and military power, and its “intelligence” capacities to destroy the Cuban government by fomenting splits inside of the Communist Party and through the agency of domestic counterrevolution. Economic stagnation and protracted scarcity of goods and services is understood by imperialism to be fertile soil breeding dissatisfaction and making part of the population open to counterrevolutionary appeals. The goal of the U.S. blockade and the EU economic sanctions on Cuba is just that: to promote widespread demoralization and disaffection with the hope of generating a counterrevolutionary upheaval. The United States and Britain used this tactic to overthrow the government of Mohammad Mossadegh in Iran in 1953. Tight economic sanctions caused disaffection among the middle classes who became the human material for the CIA-organized coup that overthrew the government and led to the return of the Shah’s regime. Once back in power, the Shah promptly denationalized Iran’s oil and gave it back to U.S. and British oil companies. This strategy is more understood by the Communist Party of Cuba than anyone. It has been confronted by economic blockade/sanctions and CIA subversion for over 50 years. The Cuban economy’s integration into the socialist bloc is what allowed the country to survive in the early 1960s. The existence of the socialist bloc gave Cuba the ability to engage in trade on terms that were favorable to its social and economic development. For instance, Cuba’s main trading partner was the Soviet Union. The USSR was the largest producer of oil in the world. Cuba produced sugar. The two countries traded oil for sugar. On the world market oil is traded in U.S. dollars. Cuba cannot access dollars easily. The integrated trade arrangements between Cuba and the USSR, East Germany, Czechoslovakia and the other socialist bloc nations allowed Cuba to develop rapidly, even with the severe imbalances caused by the blockade and endless U.S. military threats, as well as Cuba’s enforced economic isolation from most of Latin America. When the socialist bloc governments of Eastern Europe and the USSR were overthrown in the reactionary wave of 1989-1991, Cuba lost not only its energy supplies, but also a vast and inter-tangled network of trade, aid and financing arrangements that had allowed it to survive and even grow despite the imperialist blockade. In the last few years, Cuba’s economic isolation was mitigated by the left turn in Latin America and in particular by its relations with Venezuela under the leadership of Hugo Chavez, but also with Bolivia, Ecuador, Brazil and other countries. Economic growth picked up markedly, but the global capitalist economic crisis that swept the world in 2007 has had a grave impact on Cuba and most developing countries. The problem of generalized scarcity—which is the normative legacy not only for Cuba, but for all countries that are emerging either from colonialism or pre-capitalist economic systems, or both—soared and presented itself as an existential threat to the socialist project in Cuba during the years known as the Special Period (1991-1997). Factories shuttered, farms stopped producing and electrical blackouts were constant as the Gross Domestic Product plunged. From 1990 to 1996, daily life in Cuba was marked by a drastic drop in caloric intake, from 2,500 to 1,500 calories per person, due to the cutoff of 85 percent of its trade and 80 percent of its imports. When many of us who are now leaders of the PSL took $2 million of donated insulin to Cuba in 1994, the country was a month away from a complete depletion of its reserves for the 46,000 insulin-dependent diabetics who live there. Unable to provide the necessary inputs to maintain state farms and factories, the government introduced private farmers’ markets and a whole menu of market-oriented reforms. Cuba also permitted joint ventures with imperialist corporations from Europe, especially to revive the tourist industry. It also permitted the use of U.S. dollars sent to Cubans from family members living in the United States. These measures helped reinvigorate the economy during the 1990s, which allowed for gains in health indices, recovery of caloric intake, and the maintenance of free healthcare and free universal education. But there were also definite social costs and negative setbacks for socialism, including the growth of economic inequality based on people’s access to dollars, association with tourists or the presence of family members in the United States. The PSL’s leadership bodies have been discussing the internal situation in Cuba for many months. Gloria La Riva, a leader of the PSL and the coordinator of the National Committee to Free the Cuban Five, prepared a special internal report in May 2010 for the PSL’s Central Committee meeting that took place in Washington, D.C.
La Riva wrote: “Many of the same factors that led to Cuba’s 1990s Special Period have resurfaced or intensified, making it necessary for the government and the Communist Party of Cuba to reintroduce or increase some of the economic measures originally employed in the 1990s for its survival, and to pull back on others. “Basically, the problems are a combination of the intensified blockade and the world economic crisis. There is lately a drop in production for lack of spare parts and raw materials, and a serious decline in the country’s purchasing power for essentials of food, medicine and fuel. The latter is due to the great increase in the world’s commodity prices, like that of rice, milk and meat; the precipitous fall in nickel prices (Cuba’s number two source of foreign income); as well as a decline in tourist income. “For example, 50 percent of Cuba’s foreign earnings come from nickel. Until the financial and commodities crisis hit in 2008, nickel commanded a price of about $52,000 a ton (May 2007). Cuba in 2008 produced 70,000 tons thanks to foreign investment in its mines, mainly Sherritt Corp. in Canada. “Then, at the end of 2008, nickel fell sharply, and Cuba announced that with the market price falling to between $9,000 and $10,000 per ton, Cuba was producing nickel at a loss. “It has recovered some, to about $18,000 per ton in late 2009. (As of Sept. 14, 2010, nickel prices jumped to over $21,000 per ton.) Still, it is nowhere near the price of 2007. “The loss in income from nickel has hit the Cuban economy the hardest of losses in any sector. “At the same time, Cuba has maintained its decades-long policy of providing basic food subsidies for all the population, even as world commodity prices are sky-high. It has done this while an estimated 189,000 able adults are not working or studying, but still enjoying the full rights of free healthcare, housing (almost everyone owns their home or pays pennies for rent) and schooling—with no economic support for it by being engaged in production. This is becoming an untenable burden for the economy. Click here to read La Riva’s entire report. The Party for Socialism and Liberation has been inspired by the Cuban Revolution. PSL members work tirelessly against the blockade, in pursuit of freedom for the Cuban Five, to expose the crimes of Luis Posada Carriles and the other CIA-funded terrorists, and in defense of socialism. Our support for the Cuban Revolution is not based on an idealistic set of assumptions. Cuba is a workers’ state, not because it is a workers’ paradise, but because it has a superior social system compared to the capitalist system that preceded it. Classes do not disappear overnight just because a revolution triumphed. Scarcity, furthermore, leads to competition for limited resources. Scarcity and underdevelopment create numerous economic imbalances, bureaucratic deformations, and other problems and contradictions that are not the consequence of “bad leaders” or because socialism is unworkable. The single biggest and most enduring problem for Cuba, however, is the unceasing war waged against the heroic island nation by the most powerful Empire in history. So, what can we do here? It is by intensifying the revolutionary struggle of the working and poor people in the United States against the Empire that we can render the greatest service to our inspiring and steadfast counterparts in the land of Marti. 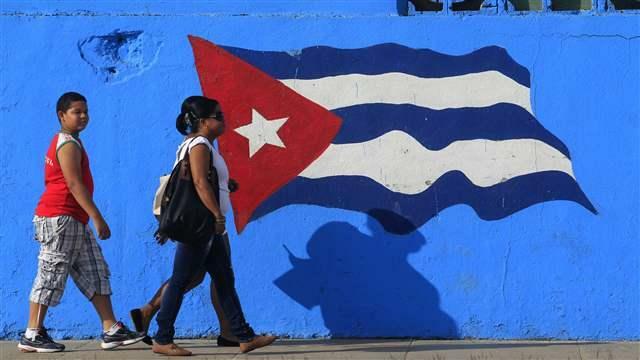 As we do that, the PSL will also promote an independent assessment of the political and economic situation in Cuba.